Early in March, on a Wednesday morning, I had the pleasure of joining Lynn Cartwright-Punnett at PS 171/Patrick Henry Preparatory School in East Harlem, which has been a BEAM partner school since 2014. I had wanted to participate in a visit to one of BEAM’s partner schools, and Lynn felt it would be beneficial if we used the visit as a chance to share details with our many volunteers, instructors, and supporters. A 7th grader works on the Admissions Challenge. 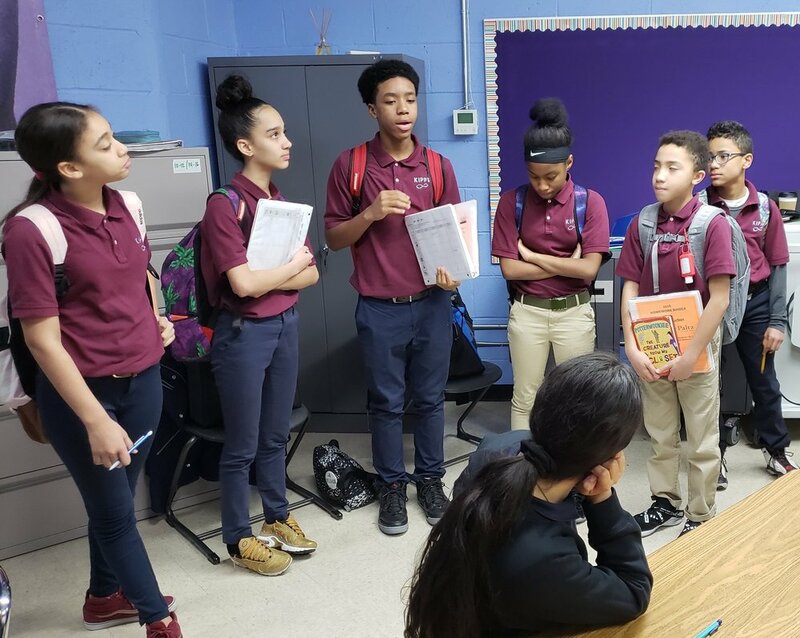 7th graders at another BEAM partner school, KIPP Infinity, tell their 6th grade colleagues about BEAM Discovery. 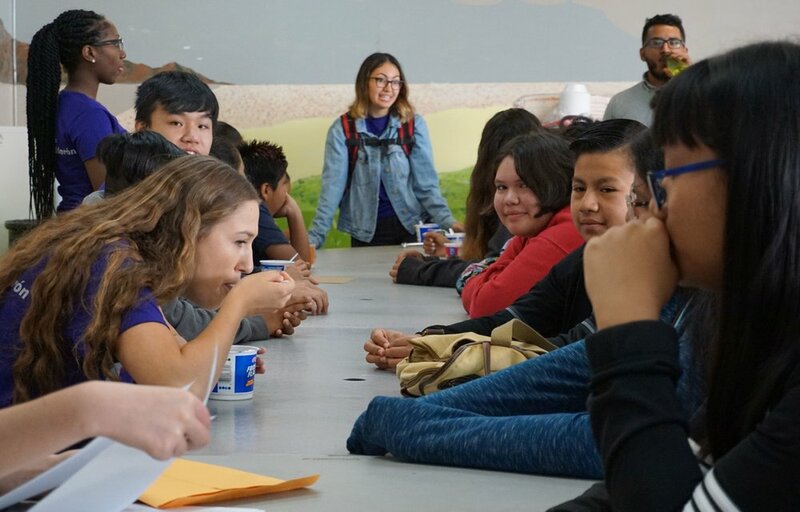 Besides the results of the students’ work on the Admissions Challenge, there are a few other ways for them to demonstrate their potential as a BEAM student. They are all asked to share how they felt about the challenge and what they liked about it. They are also given some extra problems to do at home and send back, which can show readiness and interest, and allow students to perform while not under time pressure. 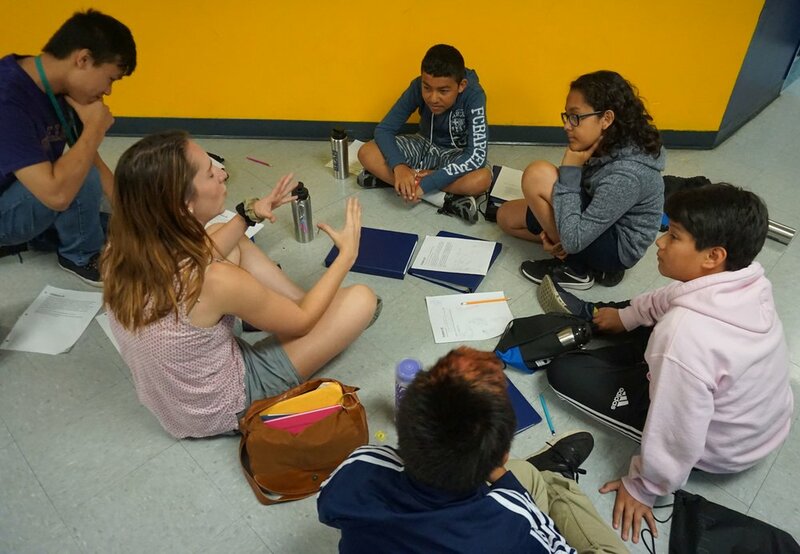 There is a third way that a student might earn some unofficial points toward gaining a slot in a BEAM program, and it was demonstrated after the sixth graders left us. 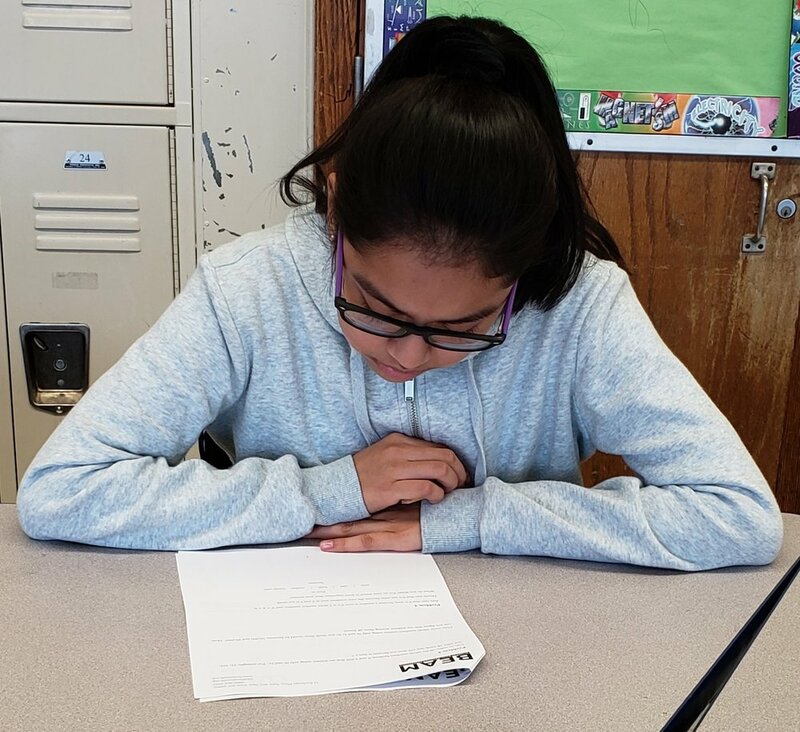 Lynn earlier had an opportunity to quickly review the 7th graders’ responses to their Admissions Challenge and had asked the school contact person to bring one student back to our classroom for an interview. 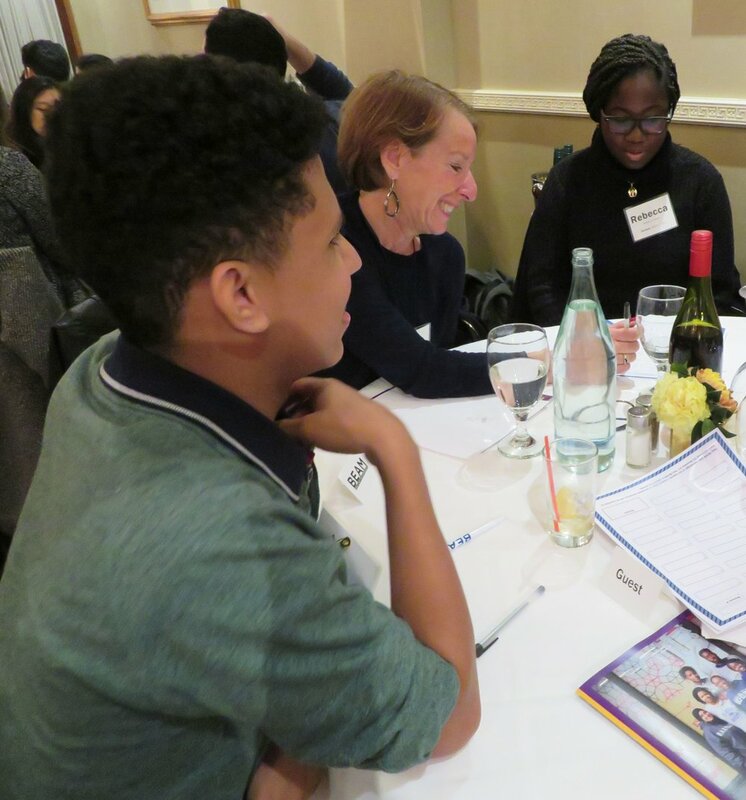 This would allow Lynn to ascertain whether the student is as ready for this summer’s 7th grade program as all the incoming alumni of last summer’s Discovery Program will be. I enjoyed listening first as the two of them chatted about school and math, and the student’s personal life. She shared that her life outside of school is mostly homework, supporting a younger sister’s homework, and church. She has never been outside of New York City, and wants to be a veterinarian when she grows up. What is she most concerned about in regards to BEAM’s summer program? That it is a sleep away program! After chatting, Lynn and the student got down to work, discussing some great math problems. How encouraging it was for me to observe their back and forth, and the young lady’s willingness to draw conclusions, and then re-evaluate them given Lynn’s prodding. The student’s patience, persistence, and flexible thinking seemed to me qualities that will make her succeed, and that BEAM would benefit from. And this is where those unofficial points toward entrance come in to play. “Slant points” are like an additional note, one which this girl definitely received, that says if there is a tie for a slot at BEAM, this student has that “something extra” that makes her the preferred candidate. As a retired teacher, I can’t imagine many more encouraging mornings than watching all of these 6th and 7th graders voluntarily meeting with a stranger to demonstrate their interest and talent in mathematical thinking. I can’t wait to hear which students are joining us this summer, and I look forward to seeing them grow and thrive through high school. Maury works with Alberto and Rebecca on trivia questions at BEAM’s annual night of puzzles and trivia. It's Friday which means we are nearly 20% of the way finished with BEAM 6 Los Angeles 2018. Where did the time go?? Let's dig deep on each of those blocks! The day begins with a balanced breakfast, served a la carte in the cafeteria. Don't those sound fun? How did students choose?? Each instructor gave a course description and a sample problem! Here's one set to consider! Ever wonder how detectives like Sherlock Holmes solve complicated mysteries? It's all in the details. 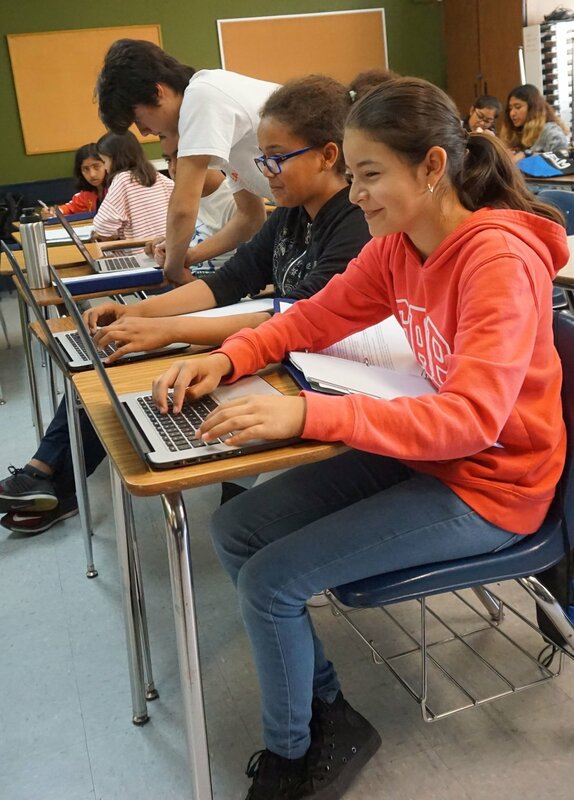 In this class we'll explore the different techniques used to solve complicated riddles and how to apply them in tough mathematical problems. Mr. Red, Mr. Blue, and Mr. White meet at a restaurant for lunch. Under their coats they are wearing either a red, blue, or white shirt. Mr. Blue says, “Hey, did you notice we are all wearing different colored shirts from our names?” The man wearing the white shirt says, “Wow, Mr. Blue, that’s right.” Can you tell who is wearing what color shirt? Students can work independently, or in groups! It's really up to what makes each student the most productive. Board Games: Old classics and new! Watch the World Cup: Watch live and old soccer games! Learn to Play Settlers: A trading and building board game set in the mythical world of Catan! Learn Dominion: A strategy card game where each time you play it’s different! Then, it's on to lunch (buffet catering from local restaurants), the next class, the next block of Open Math Time, and afternoon activities, which change every day. All in all, it's a busy, exciting day, and we'll have much more to share over the upcoming weeks!